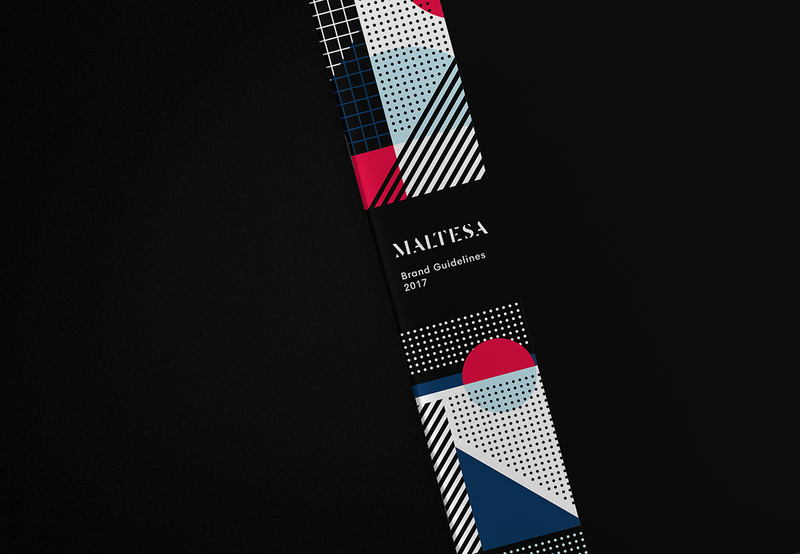 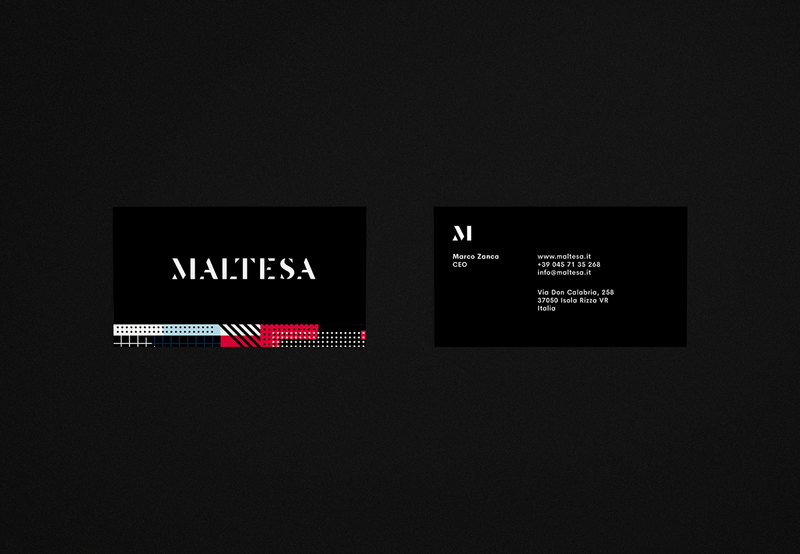 Italian crafters of accessories, interior design items & furnishings all made in concrete, Maltesa were in need of an identity that would express their non-conventional creativity and eclecticism. 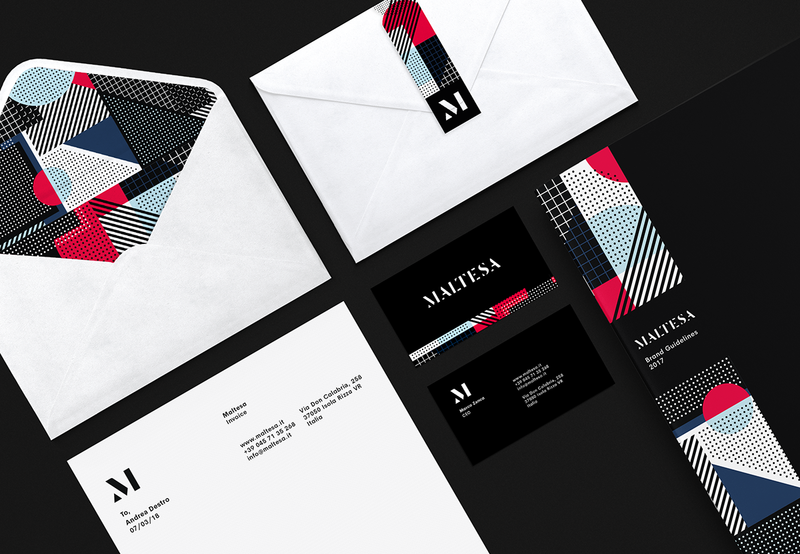 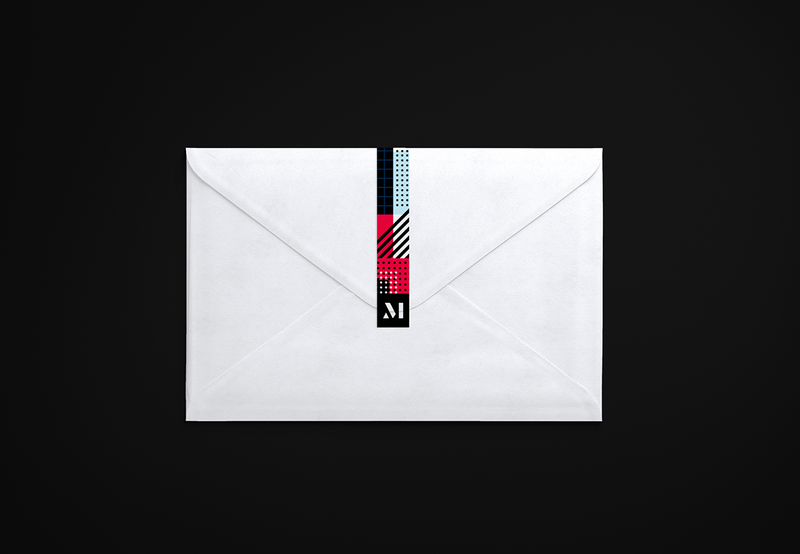 The minimal black and white aesthetic in the core logos and type contrasted with the daring loudness of pattern promotes the company’s ambition for innovation and beauty when creating design pieces. 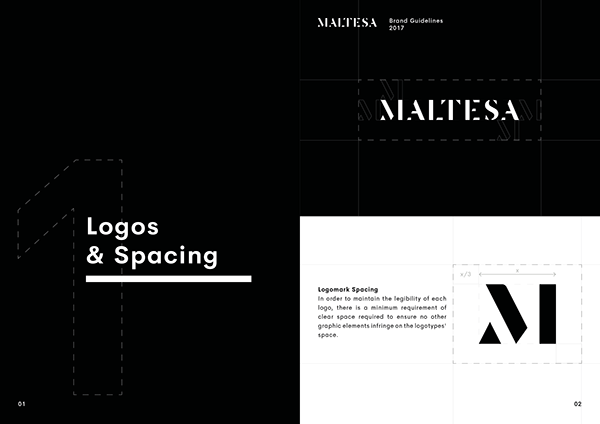 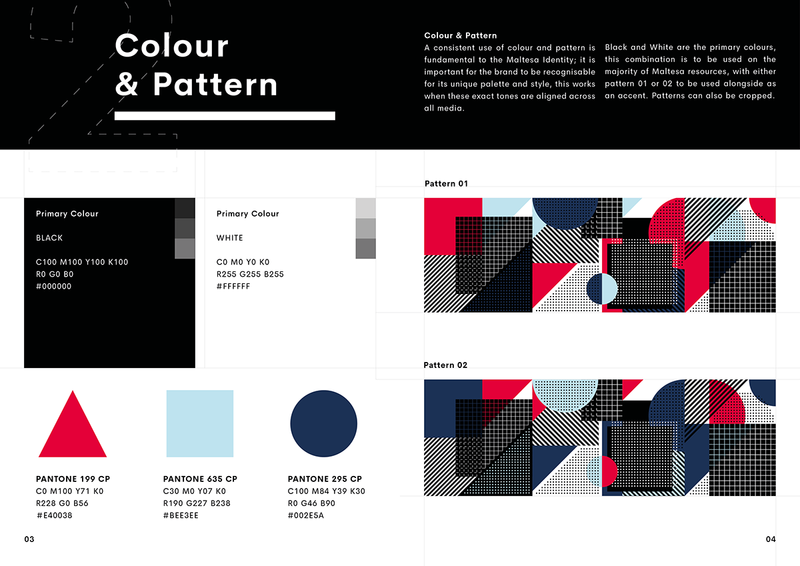 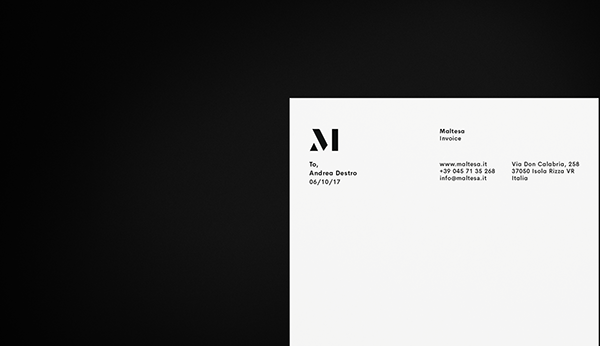 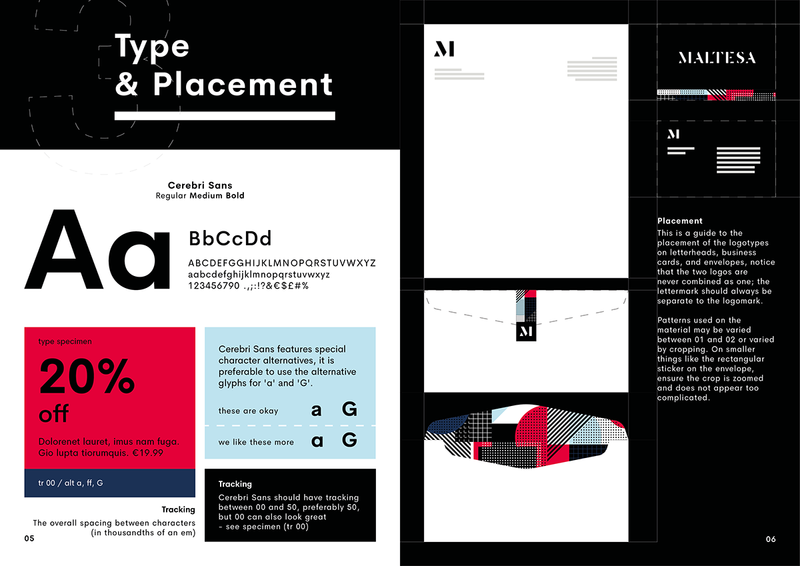 A simple, playful set of brand guidelines was intended to be engaging, this was pivotal in maintaining their authentic voice.